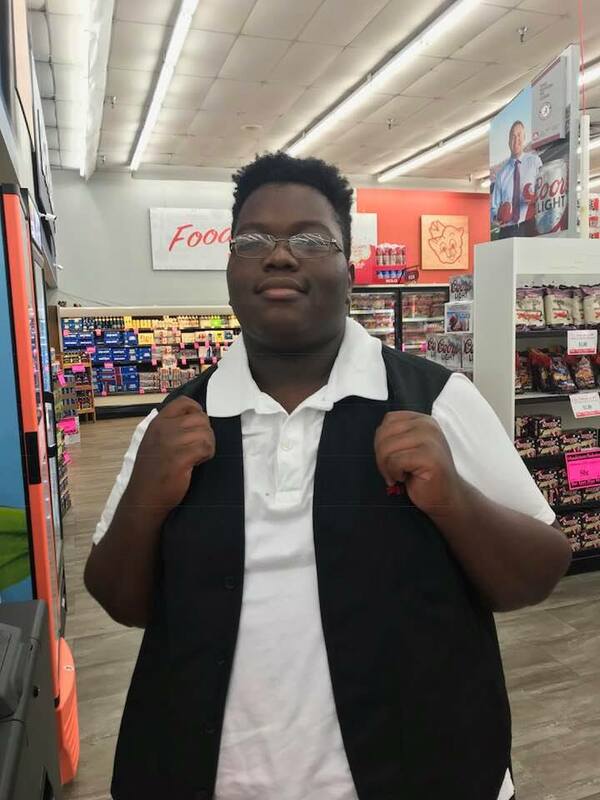 An Alabama teen returned a wallet full of cash after a woman had accidentally left it in a grocery store. His honesty and kindness is restoring faith in today’s youth for many. Sheila Spencer said she had stopped at a Birmingham Piggly Wiggly after work to pick up a few things and realized hours later that she could not find her wallet or cell phone. After retracing her steps, Sheila called the store and, sure enough, the manager said her phone and wallet were turned in by a young man named Anthony. Sheila returned to the store to pick up her belongings. Before she left, she asked Anthony if she could take his photo so that she could share his act of kindness with the world. “This young man is Anthony, he works at the Piggly Wiggly on 78. On Wednesday after work I went to Piggly Wiggly to buy a few things. Before I left I pushed my buggy in the port that holds the buggies on the outside of the store. After going home I realized at approximately 9:30 p.m. I couldn’t find my phone. I started to look for my wristlet that carried my money but I couldn’t find that either. Earlier that morning Shelisa had given me 200.00 cash to get our tags, and I had over seventy dollars of my own money in there including 10.00 worth of quarters. Tracing my steps I realized that the only place I had been was Piggly Wiggly. I called them and true enough my wristlet and phone were there. What is even more astonishing is, I had all my money in the wristlet and my I Phone. I asked the store manager who turned it in, and they said it was Anthony. The picture below is Anthony. Anthony is a teenager at Central Park Christian. Sheila’s post has gone viral with more than 123,000 shares and over 290,000 likes.